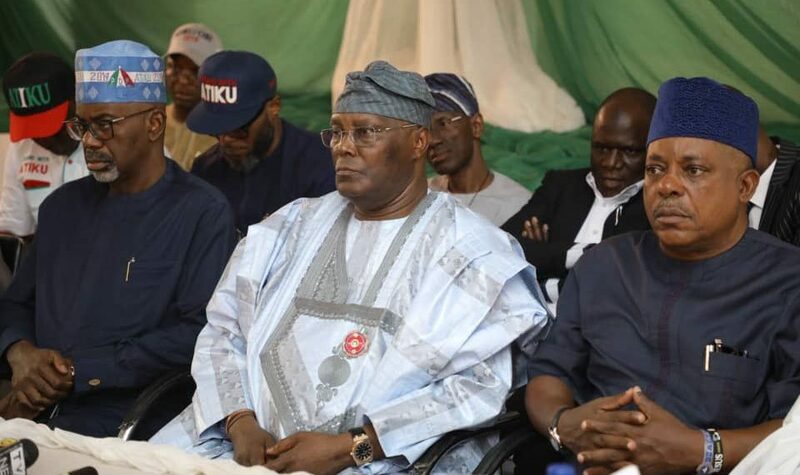 presidential candidate of the Peopleâ€™s Democratic Party (PDP) in the February 16 elections, Atiku Abubakar, has promised to ensure economic stability in the country and proffer a lasting solution to the security challenges bedevilling the nation. He spoke yesterday in Osogbo, the Osun State capital, during a campaign rally to drum support for his election. The former vice president lamented that when President Muhammadu Buhari came to power about four years ago, he promised to give youths job, improve the economy of the nation and proffer solution to security challenges, but failed to fulfil the promises. He also regretted that Nigeria is still in recession, with attendant hardship as well as security and economic challenges. Atiku assured he will find lasting solutions to the problems because he has a special agenda for the country to make life meaningful to the people. While stressing the importance of youths in nation building, Atiku promised youths 40 percent appointments in his cabinet if elected. He said 30 percent of his appointment would also go to women whom he said play prominent roles in the development of the country. The PDP presidential candidate maintained that transformation and restructuring of the country would form priority of his administration. Atiku alleged that the All Progressives Congress (APC)- led Federal Government has failed the nation as it didnâ€™t fulfil its promises. â€œThey promised you job, have they given you? They promised security, have they given you? They have nothing to offer,â€ he said. He assured on special programmes that would bring about positive changes, by fulfilling all his promises. â€œIâ€™m not Buhari, Iâ€™m Atiku,â€ he said. Meanwhile, Atiku has declared that his administration will improve the welfare of the military personnel if elected the next president. Addressing newsmen in Akure, the Ondo State capital, at a press conference to commemorate the Armed Forces Remembrance Day, at the state secretariat of the PDP, the former vice president lauded the contributions of men of the Nigerian army to the growth of the country. He said soldiers deserve better welfare considering their services to the nation, adding that many of them have sacrificed their lives for the country. Atiku, who commended the army for waging serious war against Boko Haram, noted that the war against insurgency is fought majorly by soldiers. He urged Nigerians to support him in his ambition to rule the country and assured that his administration will proffer solution to insurgency in the country. Also, Ondo State Governor, Rotimi Akeredolu, yesterday gave micro-credit loans to widows of soldiers from the 32 Artillery Brigade, Owena Cantonment, Akure, who lost their lives in the war against Boko Haram. The governor also doled out a cash gift of N100, 000 to each of the 30 widows of the fallen heroes from the cantonment, with a promise that his administration will continue to put smiles on the faces of their dependants. Akerdolu, who gave cheques to the dependants of the dead soldiers at the parade and wreath-laying ceremony of the Armed Forces Remembrance Day celebration, held at the state Cenotaph, Akure, said the token was to cushion the effects of immediate problems engendered by the unfortunate losses. He added that no amount of money can replace the lives of the soldiers, and called on individuals and corporate organisations to assist in bringing smiles to the faces of the widows. The governor also donated an operational vehicle to the Nigerian Legion in the state, in fulfilment of his promise to the Legionâ€™s demands.